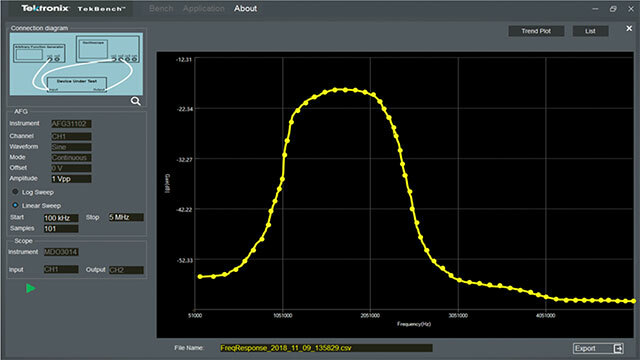 TekBench is PC software that controls Tektronix oscilloscopes and arbitrary function generators. It offers intuitive instrument control, automated measurement data logging, automated frequency response measurement and easy waveform exporting with required format to eliminate extra time and effort. It allows users to focus on their experiment rather than learning the instrument. Only a USB cable is needed to connect the instrument to the computer. The instrument is detected by the software within seconds without any configuration. Works with Tektronix TBS2000 series, MSO/DPO2000B series and MDO3000 series oscilloscopes, AFG31000 arbitrary function generators. Waveform data, as well as snapshot, are updated automatically. Users can select different measurements on each channel at a glance, rather than wasting time studying the user manual. 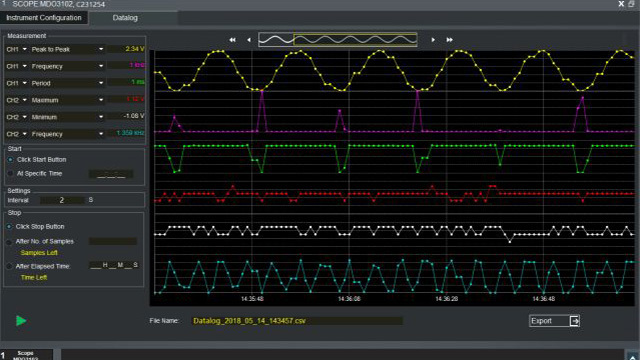 TekBench exports oscilloscope waveform data in CSV format that can be recalled by the oscilloscope directly. CSV data with no header is supported for easier analysis in other applications. Results can also be exported into MAT format to be opened in MATLAB directly. Screen snapshot can be exported with just few clicks. Track changes in measurement results for more insight and reliability into your design. Perform datalogging for up to six measurements simultaneously at intervals as short at 2 seconds and testing time up to 5 days. Previous test results can be imported for future analysis. Display results in color coded trend plot mode, or list or histogram mode for more insight into your results. 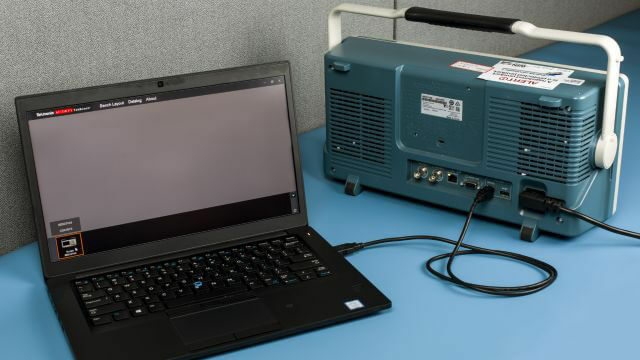 Frequency response measurement is common for circuit characterization. 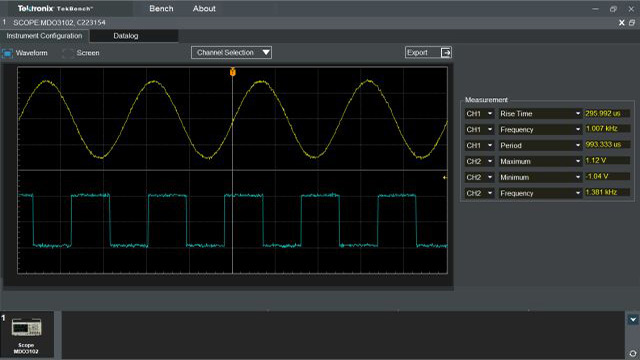 Automated Frequency Response testing can be finished with just a few steps: Set AFG amplitude, select sweep mode and the number of samples, click start button. Results can be displayed in frequency response curve or data list and to be exported in *.csv file.